He was born in the Shunde country (Guangdong province), Chen Zhen Yi and Wong Hon Fun was the most famous of Lo Kwon Yuk’s students. 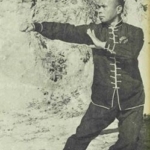 Wong Hon Fan (mandarin: Huang Han Xun), was known in Hong Kong as the “Mantis King.”He joined the Hong Kong Ching Wu Association in 1932 and began his instruction under Lo Kwon Yuk. At the age of twenty he was encouraged by Lo Kwon Yuk to establish a school in Macau. 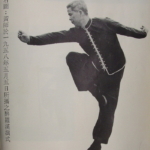 He then went to Hankou to teach at the Hankou Ching Wu Association branch. Huang Han Xun was asked by Lo Kwon Yuk (who was teaching at the Hong Kong Ching Wu) to go to the Ching Wu at Wuhan, Szechaun province to teach at the Ching Wu there. The facts are that in his over 30 books and dozens of articles written or co-authored by Huang Han Xun, he never used the term “Seven Star” as the name of his style but he used “Northern Mantis”. Huang Han Xun lineage followers do not share the view that he was exempted from the use of any name. They believe, he was using the term “Northern Praying Mantis” because it more fully represented the true make up of Praying Mantis system. b) The Shi Si Lu Book (Basically it has the 14 Rows form and some historical information, including about the history of the 14 rows. Mostly it’s in Chinese Language, but there’s a historical section that’s in English). Both of these are rare and very hard to find and actually the 14 roads book is even more rare than the 40th year Commemorative. These books were mainly made available to Wong Hon Fun students (now Shifu’s that belonged to Wong’s lineage). 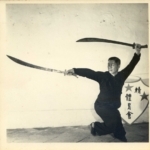 Grandmaster Lo Kwon Yuk & Master Chen Zhen Yi taught Shifu Wong Hon Fun and he taught Shifu Brendan Lai and Shifu Lai taught Shifu Marquez in Seven Star Praying Mantis.